As June draws to a close I can see the end of the school year in sight and am willing it to get here sooner. I know it is terrible to wish your time away, but I am looking forward to relaxing, something I will be doing almost as soon as school finishes as I am off to sunnier climes at the end of July. June has been a very strange month; after the craziness of May I feel as though I haven’t done anything exciting in June. I am sure that isn’t the case and I know I have had some lovely weekends, both here and back with my family, but I feel as though nothing big has really happened. This is probably a good thing after May and it is certainly good to have had some relaxing weekends. And the best bit about these relaxing weekends is the amount of reading I get done. Journey’s End by R. C. Sheriff – I finished this this evening and have yet to write a post on it, however it also counts towards by Reading the twentieth Century challenge. 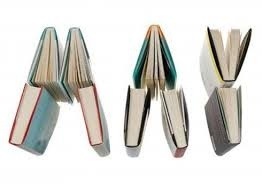 I am very much looking forward to July and have a few books I know I need to read this month, such as The Curious Incident of the Dog in the Night-Time a reread I am debating teaching and I must read something from my TBR Pile as I have been slacking this month. Other than that I envisage lots of holiday reads, especially as I am taking part in #sunathon. A Storm of Swords is the third book in George R.R.Martin’s A Song of Fire and Ice series, probably made most famous by the TV show Game of Thrones. As far as I can work out, book three is divided into two parts and as the more switched on of you will notice, this is Part One. It is hard to write about this book and discuss it unless you have read the first two in the series, something I strongly recommend as they are amazing. A Storm of Swords picks up where the last books ended, after the fiery Battle of the Blackwater. There is still the fight for the Iron Throne, with Robb Stark, Stannis and Joffrey all planning their next move. Everyone seems to be preoccupied with the battle for Westeros and building strong connections with other powerful families, thus paying little attention to what is happening across the sea, where Daenerys is building her army, led by the dragons, or to beyond The Wall where Wildings and The Others are creeping ever closer to the Seven Kingdoms. I love this book series. It is so easy to become engrossed in the world Martin has created and to be swept along with all the various characters on their journeys, some to victory, some to be reunited with their families and some to protect the realm. As I have mentioned in my reviews on the first two books, one of my favourite things about this series is the narrative style. Each chapter focuses on a different character and they nearly always end on a cliffhanger and you have to wait a few chapters to find out what happens next. A clever narrative style for sure and one that ensures I just want to read non stop. 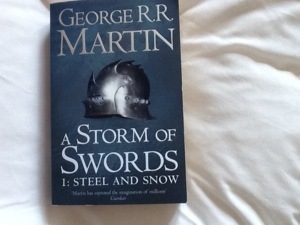 In comparison to the previous books I don’t feel as though much ‘big’ action takes place in A Storm of Swords: Part One however I am assuming that is because it is coming in the next part and because sometimes you need to lay the ground work for the next plot twist. With great long reads such as this one and with ones where I have the actual book it is very rare that I turn down pages to earmark quotes, however this once I did. The quote just made me think about why I love reading and rereading. A brilliant read and I am so glad I have managed to avoid the third and fourth series of the TV show and any potential spoilers as I am absolutely determined to read the books first. My housemate even has series three in the flat at the moment and I am being very strict with myself and keeping away. I do really want to start Part Two right now, but I also need to read something for school and I’m rubbish at reading two books at once. I have seen a few bloggers completing this Alphabet Meme and wanted to get involved, so I asked Anne at Anne’s Space for a letter and she gave me the letter H. H is quite a nice letter, certainly better than Q or X but I have still found some things tricky to pick. This was easy, of course it was going to be Harry Potter, although I wonder if this is cheating as technically this is seven books. 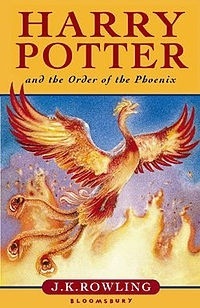 If I had to choose just one I think it would be Harry Potter and the Order of the Phoenix as this was the first book I bought at midnight. 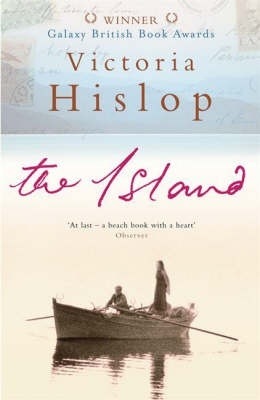 This is a new one and I only discovered Victoria Hislop last year but I am keen to read more of her work. This was the hardest category and I had to look on my iPod to choose one/remind me of songs beginning with this letter. I have chosen Blondie’s Heart of Glass, maybe not my favourite ever song, but it reminds me of being young and going on long family car journeys. I don’t know if this is my favourite H object, but I cannot live without my handbag. I am a fan of the biggest handbags I can find as I need to carry a book around with me wherever I go. Yes, I’m aware my handbag is probably full of crap I don’t need to carry around on a daily basis, but I love it all the same and feel naked without it. At the weekend I decided to do a last minute sign up to Angela Carter Week, a week hosted by Delia at Postcards from Asia and Caroline at Beauty is a Sleeping Cat. So off I strolled to my library to get out some Angela Carter books. 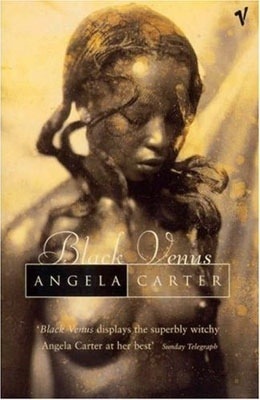 Black Venus is a collection is short stories either retelling different events from history, such as the murders committed by Lizzie Borden or just an interesting narrative on points in history in general. It would take too long and be far too tedious to mention every story in detail, but there were certainly ones I preferred above others. I found I didn’t care too much for the ones that focused on real life historical characters, such as Edgar Allan Poe or Baudelaire’s mistress. I found them too confusing and thus not overly memorable. If I’m honest I wasn’t really hooked by the first story and was almost tempted to read a different book. And then I read story number two The Kiss. The Kiss was such a sweet short story set in Central Asia; I would say it was similar to a folk tale. Although only a couple of pages long it centres on a Tamburlaine’s wife and her hopes to finish a building before her husband returns from war. There is a lovely moral message told through eggs and vodka, random I know but I’m not giving anything away. It was just a lovely little story that made me think. Other favourite stories from the collection include Our Lady of the Massacre about a runaway British girl who becomes part of a Native American tribe in the 1600s; The Kitchen Child about a boy who was born and raised in the kitchen of an English country house and Peter and the Wolf mainly about Peter and a girl raised by wolves. This was certainly an interesting collection of stories and I love Carter’s description and the elegance of her writing. There is some bizarre and sometimes grotesque imagery throughout, but that is what makes it unique. And I like spotting the various allusions to other works of literature or art etc. I think I am definitely going to read another Angela Carter book next, but which one? I was luckily enough to find a copy of The Bloody Chamber in the school library and that is the one I really want to read so maybe I’ll go there next. 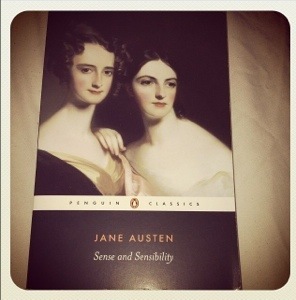 The Classics Club Spin #6 was good to me and not only did it land on a book I already owned but one I really wanted to read fairly soon: Jane Austen’s Sense and Sensibility. If I remember correctly this was the first Austen book I read when I was a teenager, choosing to shun the more conventional and better known Pride and Prejudice in the first instance. This was over a decade ago ( god that makes me feel old) and although I have watched various adaptations since then, such as the fantastic Emma Thompson one and one starring Dominic Cooper, I have been looking forward to a reread. Sense and Sensibility follows the lives of Elinor and Marianne Dashwood, from the death of their father and the subsequent loss of their family home to the dilemmas of love and loss that all women in an Austen novel seem to face. Elinor, the older sister, embodies sense; she loves Edward Ferrars but knows she cannot have him and so she carries her heartache with quiet dignity. On the other hand, her younger sister, Marianne falls head over heels in love with the cad, Willoughby and when he inevitable breaks her heart she falls into a devastation and simply cannot function because the loss of Willoughby is just too much. I love Sense and Sensibility. I loved it when I first read it and I always had a sneaky suspicion that I loved it more than Pride and Prejudice and reading both of them in recent months I know that I do. What’s not to love? It has all the usual love drama of an Austen novel and a happy ending. The characters are so perfectly created that even over 200 years later you can spot their modern day counterparts in real life; we all know a meddlesome older lady who whilst annoying and a bit of a busy body, means well (luckily my grandma doesn’t understand the internet so she will never read that comment and to be fair I could be talking about her sister ha). I think her characters and how relatable they are is one of the reasons why I enjoy Austen’s writing and arguably why she has remained a significant part of literature as a whole. Everyone loves a story with good guys and bad guys and then a lovely happy ending, at least I know I do. And I do love a romance story every so often. Overall, an enjoyable read and what made it even better was the lovely British sun over the weekend so I could actually sit outside, read and tan/burn slightly. I always find it so much easier to completely relax and read for hours when the sun is out and I can just lie there and not have to worry about anything. It doesn’t help the work situation, but hey ho, I’m happy. In the past year I have reread three of Austen’s novels (Mansfield Park, Pride and Prejudice and Sense and Sensibility) and I think now I’m halfway through, not including the unpublished one, I might as well continue and aim to the read the remaining three in the near future, mainly because I have a great looking book called What Really Matters in Jane Austen? that I have yet to pick up and a refreshed reading of her novels will certainly enrich my experience reading this book. When I originally saw the sign up post for Angela Carter Week I didn’t really have any intention of signing up. However this morning, the day before the event starts, I woke up and changed my mind. It was off to the library, with the hope I would be able to find a copy of The Bloody Chamber as I have wanted to read it for years. However, my library (a city library I might add) didn’t have a copy at all, not even one out on loan! All was not lost and I did manage to take out a handful of Carter’s work. And so May is over! I’m pretty sure I should be making doubly sure I am ready to return to school tomorrow, but I’m just too tired; perhaps not the best feeling after a week off, but I have just blitzed the flat and had an incredibly manic half term. Now I think about it, May has lasted forever, with five weekends squeezed into one month and each weekend has been busy. From village fairs to 50th birthday parties, from hen party spa days to the actual wedding, May has certainly been busy. As always school added to the chaos with exams and revision sessions, but luckily they have completed their exams for English so I can breathe a sigh of relief. The past week has been full of highs and lows in terms of my personal life and although I don’t want to even think about the low I am more than happy to remember the highs. My older brother got married on Friday which was amazing. Both my sister and I read in church and in typical big bro fashion he only asked us to do this last Monday; he really is too laid back for his own good. Luckily the weather on the day was lovely and it was just a beautiful day. Might have had a little cry once or twice, but what do you expect. So yes, we danced lots, ate lots, drank lots and laughed lots. And the best bit is I got to wear a big arse hat. I LOVE a good hat! All three books count towards my Reading the Twentieth Century challenge and My Cousin Rachel also counts towards my TBR Pile 2014 challenge, so on the whole I am doing pretty well.